If you buy a new computer these days, it will most likely come with Windows 10. Some people still prefer Windows 7 or 8.1, and I respect their right to make that choice. But Microsoft doesn’t. The folks in Redmond are refusing to dish out security updates to many Win7 and Win8 systems. But there's a way to get around that. Read on! Some time ago, Microsoft announced it would not support Windows 7 or 8.1 on NEWER generations of processors made by Intel, AMD, and Qualcomm. Yes, you read that right. When I first heard about this, I mistakenly thought that Microsoft was cutting off support for PCs with OLDER, ancient, and obsolete processors. I could understand that. But it's just the opposite -- many Windows 7 and 8 computers with modern Intel 7th-generation processors, and the AMD Ryzen CPU are the ones left in the lurch. This amounts to a punishment for users who decide not to "upgrade" to Windows 10, and it seems out of sync with Microsoft's extended support periods for Windows 7 and 8.1 which end in January 2020 and January 2023, respectively. This is terrible security practice! Unpatched systems can be hijacked by hackers and become threats to all other systems with which they interact. It is counterproductive to make it harder to keep a system secure. But that’s what Microsoft has done in order to drive users to Windows 10. Fortunately, there’s a way to undo it. Wufuc comes in 32-bit and 64-bit versions, and it does matter that you install the version that matches your system. To check your system, run the System Information utility in Windows. I still believe strongly that everyone should upgrade to Windows 10. But jeopardizing the security of the entire Internet community is not the way to encourage such upgrades. Bypass this Microsoft nonsense if you must to keep yourself and all of us safe. Most recent comments on "Is Your PC Running Unsupported Hardware?" I keep an older Win 7 machine in my sewing room for entertainment whilst I work. I have two other machines running Win 10 (which is nasty slow btw). I will be installing this little utility on my entertainment machine! Thank you. This may be very useful to me; I am in the market for a new laptop and have a Win7 license that I was considering using to "downgrade" it for a couple of years. I had no idea that MS's keenness to push everybody towards Win10 would lead them to actually expose people who have paid for their OS to this degree of hazard! I have recommended my brother, who is more computer-literate than I am, sign-up to your newsletter. Being in the UK, some days your posts aren't that relevant to us, but you provide many gems. Thanks again. My 2nd computer, a W7Pro 32bit, has not been allowing me to download updates for over a year. It has been showing a big redX message that update service is turned off. On the suggestion of a poster 'somewhere?' I went to 'changes', selected "never search for updates (not recommended)--went back to search for updates, clicked on it and lo and behold, it did. Found 8 important updates and downloaded and installed them. This, after searching around for months to find a remedy. Microsoft fits the basic definition of a bully. They do not play fair, and they simply cause more problems than they fix or prevent. "But there's a way to get around that." The best way to get around is to ditch Windows. I know some readers disagree with me but Linux has come a long way and is very user friendly these days. It can even mimic Windows for those having resistance t change. There are several flavors of Linux (Maybe Bob can do a article about that) but I have found Ubuntu-Mate to fit my needs the best, In addition, the Linux community is very helpful for those who like to learn more about their OS. Microsoft is leaving itself open to a class action lawsuit. IMHO, they are inviting one. Since there is no real technical issue involved, their decision to not allow updates for Windows 7/8/8.1 is arbitrary. If a customer bought and paid for any of those versions of Windows and the End-Of-Life has not been reached, then Microsoft should be contractually obligated to allow updates. If a customer suffers a loss because of their arbitrary decision, then court action could follow. If their intent is to force people to Windows 10, I think it will have the opposite effect. It will drive customers away. People do not like to be forced to do something for no good reason. Which of these files should be downloaded or used for a 64-bit version of Windows 7? I'm not sure if this will help me. I do not get an error message. In fact, whenever I attempt to start Windows Update from the Control Panel, it hangs, never opening. I have to end the process via Task Manager. Folks, you have to remember, you buy a license from Microsoft to use their software. Nothing is ever owned by the licensee. In other words be sure to read the terms of service/privacy statements, etc. Sorry, 'bout that. Microsoft sure does know how to generate the love! This is what you get displayed when you try to get updates for windows 7 and internet explorer. Well I don't see what the CPU has to do with the Software. Only one CPY/APU Manifactor is not in the list unless the PC CPU was made in China. All PC have one of those listed CPU either Intel, AMD etc. In 2015, my attempt to upgrade to Windows 10 bricked my computer. It cost me $500 to get it running with a new motherboard. When Microsoft compensates me, I'll feel better, but never "upgrade" to 10. W10 shows that MS is dominated by The Left who think they can do as they like. W10 takes away our choices of programs to run as well as just updating without our control when we own the computer even if their OS is under license. Seriously thinking that once no longer supported Linux or one of the others will then dominate for those who can put them onto their machines themselves. Or some will come loaded maybe. I have a mate on EBay will suggest he tries it as builds his own to sell etc. As for me and my machines, I switched to Linux Mint about 6 years ago due to the Gestapo tactics of M/S. I switched from Apple over 20 years ago for the same corporate arrogance. And I haven't looked back. I do NOT own any Apple products (including iPhone) and all of my computing machines are either Linux, Android, or Legacy Windows (but not 8, 8.1, or 10). As an aside, none of my legacy machines interact with the internet directly. The end of one of my old passwords for something related to MS was ......MSsucks. It worked until I forgot it. (How could that happen? I forgot the first part.) I really don't like MS or Win10 (a large amount of my antipathy could be related to my old computer. It handled Win7 wonderfully. My coffee didn't get cold waiting for things to happen. I use both Opera and Firefox. They are getting slower. I truly believe that there is an MS conspiracy doing this to force me into using Hedge, Irritating Experience, or whatever their bowser is. GRRRR!!!!! 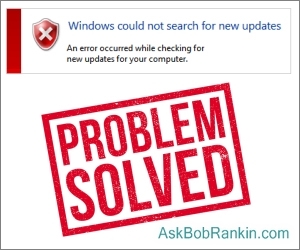 Hey Bob, I downloaded and installed WuFuc and still get message of unsupported hardware... is restart required for it to do it's job? No more updates? GOOD. Maybe my laptop will run better.